The Lutheran Reformers of the sixteenth century were not sectarian innovators who set out to create a new religion. Rather, they acknowledged, and rejoiced in, their continuity with the church of the Apostles and ancient Christian Fathers. Hence, we recognize that there was a reformation - not a revolution - in church affairs. Lutherans accept the authority of God's Word, the Holy Bible, as complete, certain and final. We believe, teach and confess the truth of the Bible as summarized and confessed in the Book of Concord (AD 1580). Hence, we describe ourselves as confessors of the Gospel (Good News) of Jesus Christ. 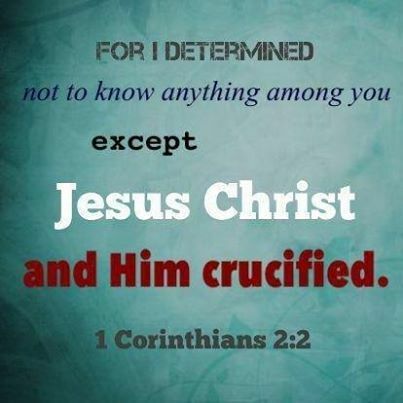 We seek to know only Christ and Him crucified. Also known as the “Battle Cry of the Reformation”, the Solas refer to the phrase “by grace alone, through faith alone, in Scripture alone”. It is well known in its Latin form, “Sola Gratia, Sola Fide, Sola Scriptura”. Grace Alone (Sola Gratia): Our salvation is entirely a gift of grace from God, and not something we can accomplish or decide upon. Faith Alone (Sola Fides): We receive the gift of grace through faith and not by doing something that God rewards. Repentance and faith are created in us by God, and we cannot contribute anything to it or make a decision to choose God. Scripture Alone (Sola Scriptura): Everything we need to know about grace and faith comes from the Holy Scriptures. The formal name for this theology is Monergism (God alone accomplishes our salvation) as opposed to Synergism (we co-operate with God to be saved). What Makes Lutheran Theology Identifiable? It is Creedal: Lutherans confess the historic Creeds as a continuous witness of the Gospel and which unify all Christians irrespective of race, culture or location. The creeds help us stand guard against errant Christian doctrines which seek to steal away our faith. Reciting the creeds fortifies our faith. It is Confessional: the Lutheran Confession is a solemn subscription to definite, formulated confessions of the truth of God’s Holy Word. These confessions and patterns of doctrine contained in the Book of Concord are wholeheartedly accepted as the clear and truthful summary of God’s revelation contained in the Scriptures, and by which we judge all teachers and writings. The object of our subscription is the doctrinal content alone. It is Sacramental: God uses ordinary means to impart his Grace to unbelievers and his Church. These sacraments, or mysteries of God, are celebrated frequently via the Preaching of God’s Word, Holy Baptism and the Lord’s Supper. They have the power of salvation, i.e. they produce repentance and forgiveness in the hearer because God has fulfilled his promises through the birth, death, resurrection, and ascension of Jesus. It is Liturgical: Lutherans go to church to receive what God freely offers. The means of worship is structured according to a Biblical pattern of Word and Sacrament to assist the Church to receive his gifts faithfully. The liturgy is not uniquely Lutheran, but historically Christian. The weekly repetition of the truths proclaimed in the liturgy catechize the faithful toward a salutary reception of God’s gifts. Similarly, the annual cycle of festivals and seasons in the church year reminds worshipers of important events in salvation history; the promises of God. It is Trinitarian: Lutherans worship the One True God and confess his triune nature – the Father, creator of all that exists; Jesus Christ, the Son, who became human to suffer and die for the sins of all human beings and to rise to life again in the ultimate victory over death and Satan; and the Holy Spirit, who creates faith through God's Word and Sacraments. The three persons of the Trinity are coequal and coeternal, one God. It is Incarnational: We don’t believe that God is absent or waiting on our response or action. God is “down here” - with us, for us, in us. He became one of us in order to atone for our inherited and personal sins. The Father really did abandon and condemn Christ on the cross because our sins truly adhered to him and were, therefore, properly atoned for. It is Cruciform: Lutherans embrace the cross because it is the very essence of apostolic Christian theology. Jesus did not go to the cross despite being God. He went to the cross because He was God. As the faithful our own lives are cruciform – we lift our focus to be on God even as we remain rooted on earth, but our arms stretch out in service to our neighbors. What is Confessional Lutheran Theology? Our Congregation upholds the Scriptures alone as the source and norm for all doctrine. We accept all the canonical books of the Old and New Testaments as the inerrant, infallible, verbally inspired, revealed and authoritative Word of God with regards to belief and life. The focus of Lutheran theology is the Gospel of Jesus Christ. God's free justification (making righteous) of the sinner is by grace through faith for Christ's sake alone. This is also known as the "chief article" of the Christian faith and the "article on which the church stands or falls”. All Scripture is interpreted from the perspective of this Gospel. Law and Gospel Hermeneutic (theory of text interpretation, especially the interpretation of biblical texts): The Word of God is divided into two principal kinds - The Law and The Gospel. The Law convicts you of your sins. The Gospel offers forgiveness of your sins through the life, death, resurrection, and ascension of Jesus Christ alone. What’s in the Book of Concord (Concordia)? The Book of Concord is the formalized confession of Scriptural teaching that orthodox Lutheran churches subscribe to. The Book of Concord is also known as the Symbolical Books of the Evangelical Lutheran Church or the Lutheran Confessions of Faith. The Gospel of Jesus Christ is the central theme of the Book of Concord. The Unaltered Augsburg Confession. In 1530, the Lutherans were required to present their confession of faith before the emperor in Augsburg, Germany. Philip Melanchthon wrote the Augsburg Confession and it was read before the imperial court on June 30, 1530. Apology of the Augsburg Confession. In 1531, the Lutherans presented their defense of the Augsburg Confession, which is what "apology" here means. It too was written by Philip Melanchthon. The largest document in the Book of Concord, its longest chapter, is devoted to the most important truth of the Christian faith: the doctrine of justification by grace alone, through faith alone, in Christ alone. Smalcald Articles and the Treatise on the Power and Primacy of the Pope. In 1537, Martin Luther was asked to prepare a statement of Lutheran belief for use at a church council, if it was called. Luther's bold and vigorous confession of faith was later incorporated into the Book of Concord. It was presented to a group of Lutheran rulers meeting in the town of Smalcald. Philip Melanchthon was asked to expand on the subject of the Roman pope and did so in his treatise, which also was included in the Book of Concord. Formula of Concord. After Luther's death in 1546, significant controversies broke out in the Lutheran Church. After much debate and struggle, the Formula of Concord in 1577 put an end to these doctrinal controversies and the Lutheran Church was able to move ahead united in what it believed, taught and confessed. In 1580, all the confessional writings mentioned here were gathered into a single volume, the Book of Concord. Concord is a word that means, "harmony." The Formula of Concord was summarized in a version known as the "Epitome" of the Formula of Concord. This document too is included in the Book of Concord. The "What About" pamphlets below are anchored in the unchanging truth of God's Holy Word and the faithful exposition of that Word provided in the Lutheran Confessions. Click on the links below to download and read these short articles prepared by the Lutheran Church - Missouri Synod.